As part of the larger MultiCare Urgent Care Centers, this clinic has affiliates with the closest other clinic being in Seattle about 6.7 miles away and is open today from 8:00am to 8:00pm. 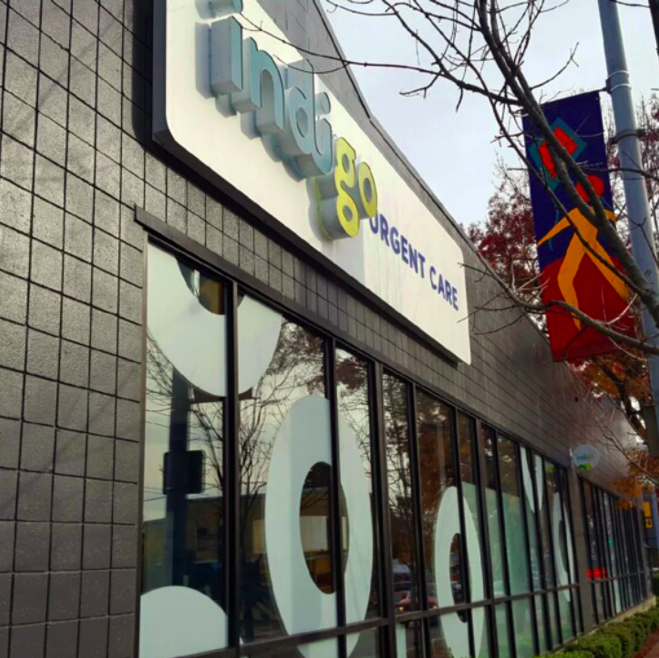 Recognized favorably amongst their patients, MultiCare Indigo Urgent Care, Wallingford has an average rating of 4.8 stars out of 5 based on 389 total ratings. Everyone was extremely friendly and efficient. The place to go when you need quick and fast relief. Went in for non- work related injury that seemed infected and was painful/ swollen. I work in the Veterinary field and had just put in a 12hr shift. Needless to say super tired and want to go home. All the staff were great! Quick check in and maybe waiting 1 min at most after vitals for Dr. Lee. She was quick but efficient. Sent home with antibiotics and got the great care I needed in less than an hour! I usually dread urgent care for basic stuff but got exactly what I was hoping for and hope to feel better in a few days. Thanks to all the staff for great and quick care!!! I was seen quickly. The staff was efficient and compassionate. The doctor was great and I’m already feeling better. Great experience. Got me in and out no problem. Efficient, no wait time, dr seems very knowledgeable. Tica and Annaliza were very helpful from the moment I entered the clinic! I didn’t realize they were the MA and the clinic supervisor because they looked happy to be helping at the front desk with check in and offering beverages. The clinic was very clean and looked modern, which I was not expecting because other urgent care centers I’ve gone to looked more like a hospital setting. I felt very comfortable and at ease sitting in the lobby and even after entering the exam room. Tanya the ARNP was also very friendly and gave me good care, with suggestions on what to expect after my appointment, as well. It was very quick and efficient, which is important to me for my healthcare experience. They made lots of casual conversation and made sure that I was comfortable! The receptionist could have been friendlier and more welcoming, sorry to say. Received similar flat treatment on the phone prior to going in. Ended up using Indigo only because you take Medicare. Dr. Lee had a friendly, informative approach and answered my questions clearly. The woman who took my blood made me feel so at ease through the entire process of trying to find a vein and she got it on the first shot! Mojda made my trip an absolute delight. I was having a pretty bad day, and her personality alone made it better. She also performed all of her duties with efficiency and skill. Mojda was great! I recently moved to Seattle and was nervous to go to a new place for the first time. Everything was very clean and comfortable, and they even offered juice or water! Great experience. I've visited MultiCare Indigo Urgent Care a couple times before, but this is the first time I was made aware of this satisfaction survey! I'm always impressed with Indigo's excellent service. Today I went in for a sore throat, and Mojda was very friendly and swift in getting me checked in and my vitals taken.Thank you, Mojda! Nice facility, very convenient. Staff were very attentive and friendly and i felt confident in the care and diagnosis. Went in to double check that my foot and or toes weren't broken. Excellent service from all of the staff, the X-ray was super easy and convenient. Thanks! Incredible, couldn't have been better.